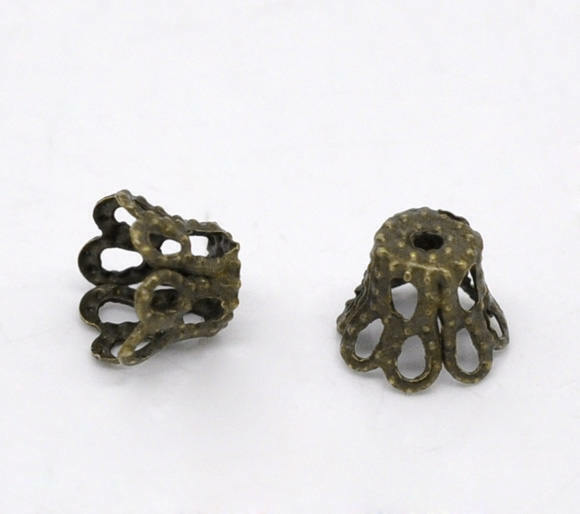 40 antique bronze lacy filigree basket style bead caps, 6mm x 5mm (2/8 inch), Hole size: 0.8mm. 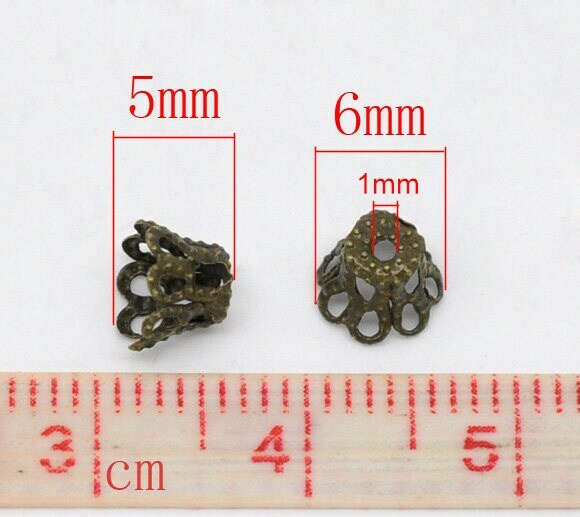 Bronze (lead and nickel safe) zinc metal alloy. Makes great larger sized caps for creative jewelry applications. 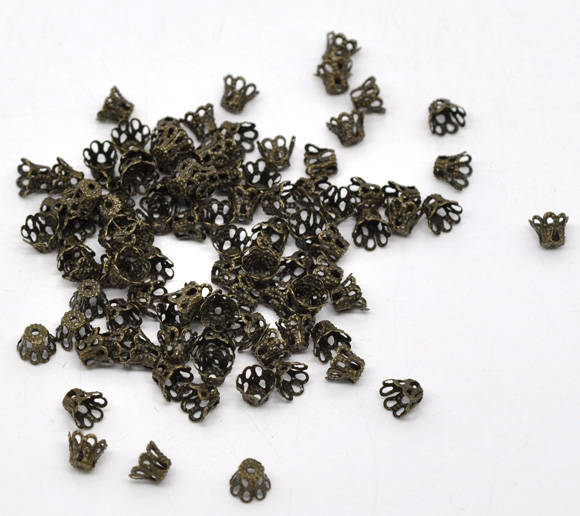 Fits 6mm beads.